If there a wine lover in your life you're looking to get a special gift for, consider a wine of the month club. It's an excellent way to give them a great selection of unique wines throughout the year, rather than store bought bottles one at a time. The "Original and Only Wine of the Month Club" was founded in 1972 and helped launch the popularity of "wine of the month clubs." During the 1970's, California was making its way onto the global wine map, especially after the Judgement of Paris in 1976. Paul Kalemkirian owned a southern California wine shop, Palos Verdes Wines and Spirits, and set out to help consumers find the best up-and-coming local wines. He started shipping through UPS, and the idea of the wine of the month club was born. In fact, he even registered and trademarked the name "Wine of the Month Club." Classic Series: Two vintages, a red and white, or you can choose red or white only. You can also opt for monthly, every other month, or quarterly selections. Never more than $23.96 a month for two bottles, plus shipping and local taxes. Vintners Series: Wines from classic regions like Napa Valley, Bordeaux, Loire Valley, Tuscany, and even Australia. These are two-bottle shipments - red and white, or choose red or white only. Usually one is an import and one domestic. Shipments are never more than $33.96 per month for two bottles, plus shipping and taxes. Limited Series: These are premium and special-occasion type wines. They are rather limited and hard to find -- many not available in stores to begin with. These shipments are never more than $44.96 a month plus shipping and taxes. Cellar Series: Every other month, receive six Classic, Vintners, or Limited Series wines (four red and two whites). Starts around $71.88 a shipment and goes up, not including shipping and tax. Wines are fully guaranteed. Never pay for a wine you don't like and you can cancel your membership at any time. Wines offered in the club may be available for reorders at discounted prices. You'll get a monthly newsletter that tells the history and story of the wines in each shipment, along with recipe ideas to complement the wines. If the recipient is local, Wine of the Month Club often hosts member dinners in places like San Diego, Las Vegas, and Los Angeles. Payment is via major credit cards and PayPal. Consumer Reports rated a shipment of Cellar Series offerings as mid-good within their Average rating, noting, however, that even the poorest ones were better than options from other clubs. While its name suggests that the wines are from California only, the California Wine Club has expanded and offers a variety of interesting gift memberships. Founders Pam and Bruce Boring started the club back in 1990 as a way to help small, family-owned wineries get their wines out to a bigger consumer base. Wines are hand-selected and are backed by a "Love it guarantee." They personally visit the winery and test every wine that goes out in the shipments. Aside from positive word of mouth, they've also received high critical praise, including being rated as the #1 Best Wine Club Gift and #2 in the top 5 Best Wine Clubs from Wine Club Reviews. Premier Series: The original and most popular option, it includes handcrafted, award-winning wines from small family producers. Starts at $39.95. Signature Series: California's most highest-rated and coveted wines. Starts at $134. International Series: Handcrafted wines from around the world. Starts at $71. Aged Cabernet Series: Features Napa Valley's most prestigious Cabernets aged 8-12 years. Starts at $219. Pacific Northwest Series: Limited-production wines from regions like Oregon and Washington. Starts at $77. Like many other clubs, you can cancel at any time. When purchasing a gift membership, you will pay up front for the entire gift period. Talk to them about ways to save, including corporate discounts and seasonal specials like the Cyber Gift Special. Want to customize your gift? California Wine Club can take care of that as well. Established in 1992, the Gold Medal Wine Club is another fantastic option for those looking to give a wine club gift. You won't find bulk wines, private labels, or close outs, so the recipient is guaranteed to get nice, hand-crafted, small-production wines every time. It takes the number one spot on ConsumerAdvocate.org's Top 10 Wine Clubs list. International Wine Club: Exclusive imports from small estates around the world. 3 bottles, ships quarterly, starts at $75. Gift shipments include a free personalized greeting card with wines wrapped in organza cloth gift bags in the first shipment. Opt to pay up-front for the gift, which includes the wine cost, shipping, and tax, or you can pay month-to-month. If you pre-pay, you can save between 5-20%, depending on series selection and the length of the membership gift. Unlike some clubs that choose wines based on their palate preferences, wines in these shipments must met strict selection criteria. These include winning major medals from major competitions and high ratings from publications like Wine Spectator, Wine Enthusiast, and more. Originally started as Club W, Winc has been trying to redefine the standard wine club. They started in 2012, calling themselves the "world's first personalized wine club." Club W originally set out to market to the younger generation of drinkers, especially millennials. They grew by leaps and bounds and decided a rebranding was already in order, helping to better convey their position. The original Club W received favorable reviews from Forbes and Eater. Rather than offering standardized shipments, recipients answer six questions to help the Winc team assess tastes. They will send wines specifically chosen to match your palate and then you rate the wines to help make even better recommendations in the next shipment. Like other clubs, you won't pay for a bottle you don't like, and there is flexibility to skip shipments, free of charge. One of the biggest differences from other clubs is that Winc produces their own wines using grapes sourced from notable wine regions around the world. They are delivered to Winc's high-tech facility near Los Angeles. Gift shipments from Winc are best done in the form of a gift card, which the recipient redeems for the monthly, personalized shipments. Winc cannot ship to certain states: AK, AL, AR, DE, HI, KY, MS, MI, OK, RI, SD, and UT. One of the most unexpected sources for a wine club gift comes from none other than Virgin Airlines. If you haven't heard, Virgin launched its own website, Virgin Wines, offering up some interesting options. Their mission is to "cut through all the confusion, tell it straight, and offer great wines, without hassle." It's recommended by WineMind.com and received a good review from The Wall Street Journal. The wines are chosen by Virgin's wine buyers who travel the globe tasting thousands of wines to find the best. Wines can be purchased by the bottle, case, or the Explorers Club, which gives the best value. The wines can only be shipped to just over 30 states, so make sure yours (or your recipient's) is listed before you buy. In the Explorers Club, the recipient will receive 12 wines every three months, with each case customized to their liking. They will get advance notice of the next shipment so they can pick and choose which wines they may not want. Thy can skip cases or cancel at any time. Virgin Wines also offers "Virgin Wines Unlimited," an annual subscription option. Pay $89 and shop as often as you like without additional shipping charges, available on orders of 12 or more bottles, including wine club cases, and it can be used for up to five different addresses. Most wine clubs don't charge a membership fee and can be sent monthly, every other month, quarterly, or by the case. You can find clubs that specialize in types of wine, regions, or even wineries that offer their own personalized clubs. Shipments typically arrive with specialty newsletters that talk about the wines, some of which include recipe suggestions as well. 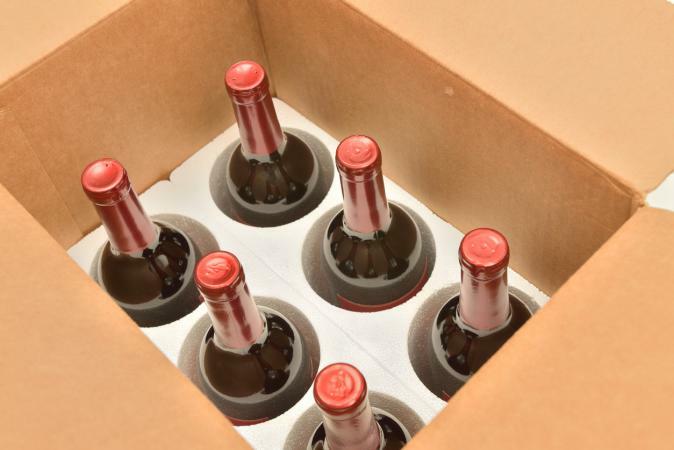 Be sure to check shipping regulations as some states don't allow wine delivery. Ensure the recipient has an address shipments can be sent to, as wine clubs can't deliver to P.O. Boxes, and someone over 21 must be available to sign for the shipment. 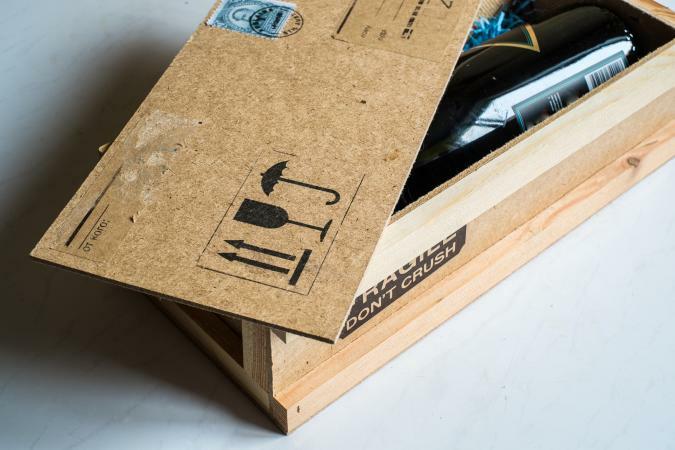 Depending on the location of the recipient, consider pausing shipments during warm summer months when wines are at risk to go bad during hot shipping days. These are only five of the countless wine of the month clubs available to consumers. If you aren't very sure of the recipient's favorite wines, a generic club that exposes them to a wide variety of wines may be the way to go. If you know they are devout Pinot or Cabernet fans, choose a club that specializes in those varietals -- or even a club that is from a specific winery as well. At the end of the day, most wine lovers will be happy with any wine of the month club gift as it's like receiving a new present each and every month for a year!